I finally made a video on the Icom 7610 RS-BA1 remote software. 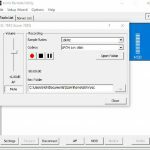 Although I have not been using it for very long, this first video shows how to install it from the Icom CD-ROM, apply the update from the Icom website and of course shows the settings in the radio and RS-BA1 software. Everything works as advertised and I am very pleased with the audio quality using just my laptop speakers and laptop internal mic. I am using this on my private home network (LAN) and have not used it outside my home yet. Accessing it on the private network is a good start. First, connect the Icom 7610 to your network with the ethernet port on the rear of the radio. More information can be found here: Icom 7610 Clock, Timers and Network. In the video below you’ll see how I have my radio setup. There may be one or two things different from your radio configuration. Try to determine if it is necessary to change yours. One thing to consider is DATA OFF MOD. I’ll bet a lot of Hams are using MIC, ACC and I use MIC,USB. That’s not a big deal and doesn’t need to be changed if you don’t want to. When powering off the radio, put it in Standby (For remote control). 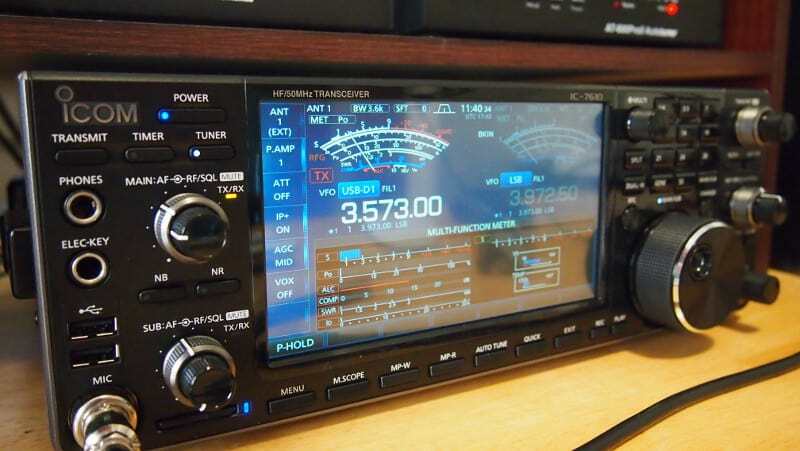 See Icom 7610 Screen Captures and “Things to watch out for”. You’ll need to buy a CD-ROM with RS-BA1 software if you don’t already have it. I got mine from HRO in Denver. Two software applications are installed off the CD-ROM. The Remote Utility software and the Remote Control software. After installing those from the CD-ROM, go to the Icom website and install the latest update. You can find it HERE. Scroll down on that page to find the RS-BA1 section. Open the Utility and click on the “Add” button to setup and connect to the sever. The Icom 7610 has an internal server. The COM port you select is a virtual port, so the # is not important. I have tried a few and they all worked. 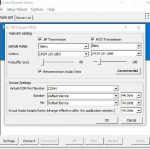 Just verify that you use the same virtual COM port # in the Remote Control as you have set in the Utility software. This is in the video below. 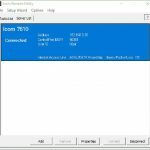 After you are connected to the radio with the Icom Remote Utility program open the Icom Remote Control program. Configure the Connect Set. 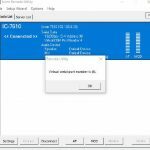 When setting up the Connect Set in RS-BA1, you can use LAN (thanks Jeff, W6FCC ) for the Connection instead of USB. See the picture below. Have a look at the Remote Setting and the MOD Select. 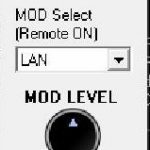 MOD Select is LAN. Look at Remote Setting too. See pictures and video below. Click the Power On or Connect button in the RS-BA1 Remote Control.. With the “REMOTE” enabled you can control the radio. I have a tip in the video for setting the F1 key on the keyboard for TX/RX. It works better than the mouse. Once I am more familiar with RS-BA1 I’ll do another video and show how I fined tuned my software to transmit SSB, and CW. For now it’s working and I get “good” audio reports on SSB. When we use RS-BA1 to connect to the radio we need CI-V Transceive ON in the radio. It will switch ON automatically if it is OFF. To use the Scope in RS-BA1 we need Unlink from [REMOTE] setup properly in the radio. DATA OFF MOD will automatically change in the radio to LAN when we connect. It should then go back to your normal setting MIC,USB or MIC,ACC. Sometimes it doesn’t. It just depends on how you shutdown the software. You’ll have to experiment with it. 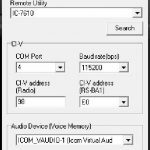 Having MONITOR enabled on the Icom 7610 will create an echo when transmitting using remote software. 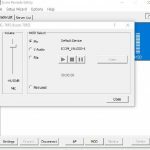 “Try this when you start to exit your remote session exit the RS-BA1 Remote Control window first by clicking the X in the top right of the window or the exit button on the top menu. Then click the disconnect button at the bottom of the Icom Remote Utility window you should get a dialog box that asks if you want to disconnect the radio, click on YES and finally the X at the top right of that window. You should then see a small window that indicates it is closing the remote utility. With my laptop I can use my radio from any room in the house. What a treat! As I said, I haven’t been using it for very long and I am still learning. This should at least help Hams get connected. In the future I hope to show a good and safe way to connect to the radio from outside of the private (home) network. Have a look at the video and let me know what you think. Does it work for you? Any tips? Thank you again for coming by and I appreciate all of the comments. If you have a suggestion or question please comment below. I will do my best to answer it and your experience will undoubtedly help others as well. Is the RS-BA2 supposed to be newer than the BA-1 version 2? Nice to hear from you and thank you for posting your question here. Actually the newer version is named RS-BA1 ver 2. I have not purchased it yet. I would like to get my money out of the first one. I wished they had an upgrade plan, but I still don’t see one as of today. Maybe they will have a sale! Hi, I’m N7CQQ working on setting up the RS-BA1 software. I am hung up on the setup for a Local PC. I selected USB/not Manual. Clicked on the drop down menu, no entries.. Tried the Manual, clicked on the drop down menu, found the radio, 7610. Next…the CI-V/Com prot settings. Com port number >>> drop down menu is blank…. Im Stuck here. Nice to hear from you. Tell me about your station and setup. I do not run RS-BA1 on a local PC attached directly to the IC-7610. Nice to hear from you and thank you for the great question. Yes I have a dynamic IP but my ISP has set me up with k0pir.midcoip.net. It’s a free service of theirs, so I don’t get charged for an IP address. Maybe your ISP has similar service. If not there are some free services, but I am not sure how well they will work. 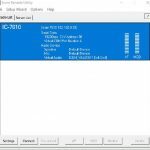 Can you tell me do you require a static IP address for complete remote setup, at the moment my ISP uses a dynamic IP address and this could cause issues each time the IP address changes. The ISP charges me an extra $10 a month for a static address, or do you know of any kind of work around? Nice to hear from you and thanks for the comment. It will fine with USB SEND OFF in the radio while using HRD and RS-BA1. I don’t believe it will affect your RS-BA1, HRD or DM780. My USB SEND was set to RTS for an old software program and I think many Hams just have it OFF in the radio. It should not affect anything. I hope this helps. Thanks again and just maybe when conditions get better I’ll hear you on the air. I very hope I’ll hear You on the air. 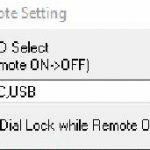 if I set “USB SEND = RTS” (it’s used for HRD) – any activity in “RS-BA1 Remote Control” leads to switching 7300 to TX mode, so only that I can do – turn off it by “POWER” button. “USB SEND = OFF” helps. Thanks for the video. I’ve not yet used the remote and your video will hopefully help an OT get to use some of the features on the 7610 and 7300. Nice to hear from you and thank you for commenting. I have been using it in my home and I will try from the coffee shop some day. Just haven’t had the opportunity. It does work good, even on my cheap little HP Stream notebook. I got good audio reports the few times I used it and I can receive good. Enjoy some time with it and I am sure you’ll get the hang of it. Thank you again, Happy New Years! Rich, thanks for your contributions to getting new IC=7610 owners up to speed on remote operation. I don’t have access to my LAN in the shack, except via WiFi. 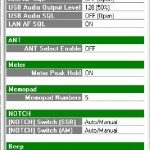 Can I insert a device on the IC-7610 LAN port to allow WiFi connection? If so, what do I need? Nice to hear from you and thank you for commenting. Great question. I’ve heard of others using a bridge/access point. TP-Link makes one and it was recommended by another Ham in the Groups.io forum. TP-Link N300. Anything like that will work and I like TP-Link products. I use Xfinity wifi and router and can’t get access from outside my in-house network. Any tips DMZ or Port forwarding etc. Nice to hear from you and I have not tried it yet. I think DMZ would be fine. There are only three ports open on the radio. For reference, there is a RS-BA1 Facebook group and a Groups.io forum (links above). When I get to it I’ll post some more information. Thanks for commenting and the question. I recently picked up that tp link nano EC00 I had one hell of a time getting it set as a client in my home network . I wanted wifi to insulate the 7610 from the LAN connection ( I lost a computer router wifi and everything that was connected hard to the cable ) Charter cable system took a hit miles from my house I never heard thunder saw lightning …just a loud snap in the house . Question can this EC00 be set up from the radio ic7610 ??? What I ended up doing was to use a laptop to set the nano chip inside for my On Hub wifi I was able to see it in the On Hub app on my smart phone when it was finished, I spent hours trying to figure it all out there call center help was no help hard to understand the accent of the agent and she was not short with me asking questions. So can this be set from the radio from out of the box or did it do it the only way using my computer to talk to the EC00 ? Nice to hear from you. That’s a bad lightning strike. Off hand I would say, yes the only way to configure it is through a computer. I always use a laptop with an ethernet cable connected to the router and configure it that way. Generally, will the same instructions apply to the 7300? Nice to hear from you and I have not used my 7300 for remote yet. I believe so. It is not as hard as it first appeared. With the 7300 you would need to install the RS-BA1 software on a computer next to the 7300 to act as the server. This would require configuring that software. There are excellent groups in Groups.io for RS-BA1 and Icom 7300. I would install the software at the PC next to the 7300 first and then install the same software on the laptop. I hear rumors of RS-BA2 coming out later this year. It might make things easier.